More pics from about 7 years ago. It really was a stunning blue sky day for DC. It took me an hour to get from my place in the suburbs to the mall. I went by metro and bus and an 8 block walk. Those were the days. 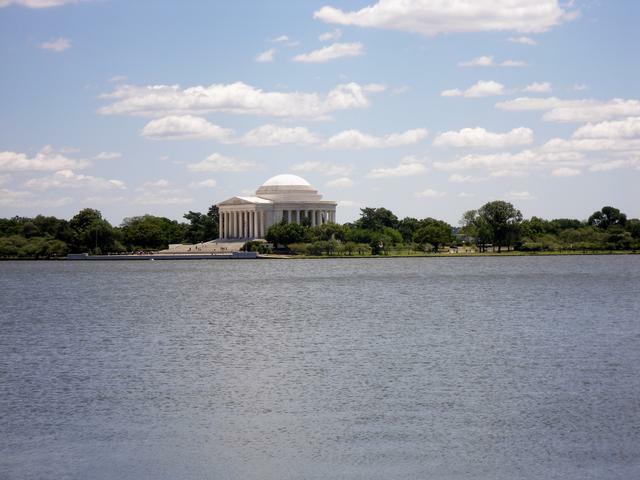 One shot looks across the Potomac River at the Jefferson Memorial. My favorite pic is the one with the Washington Monument peeking in from the side. 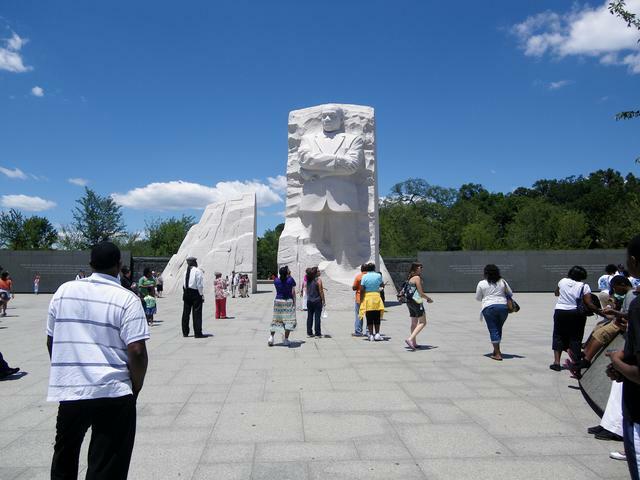 If you ever make it to DC on a visit, the MLK memorial is just a couple blocks walk from the Lincoln or Viet Nam Wall. It's quite worth it. 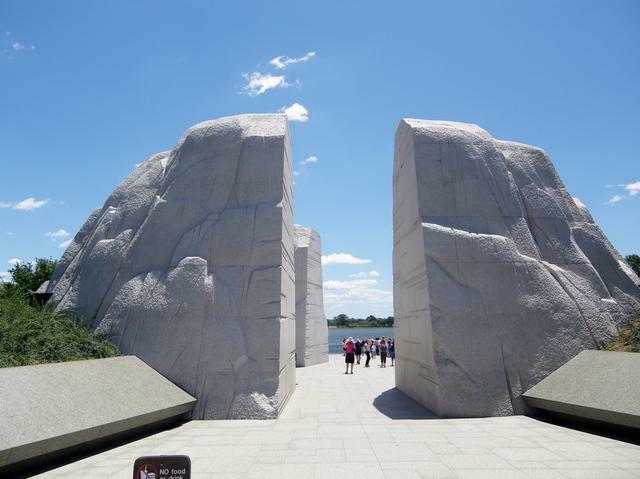 Just IMO but since The Wall has become the 'must see' for American visitors I think the MLK is very underrated. It raised typical criticisms on local TV and in the press when it was first installed, but when you actually go there and walk around, it is very impressive. Of course, you'll hear Bono sing those lyrics in your head. Thanks for posting those wonderful images. Pretty cool! I know it's not a statue . 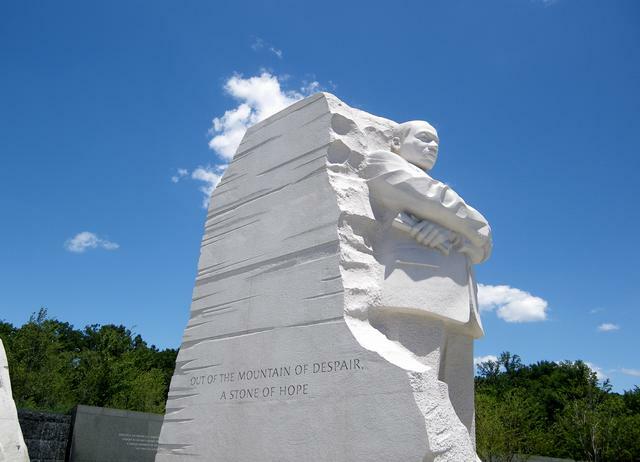 . . . . it's a more of a sculpture carved from granite. But this is the kind of thing that should be erected in all the US states that were part of the Confederacy. Instead, those states have, for over 100 years, erected statues of Confederate soldiers and leaders and it's an embarrassment to the United States. 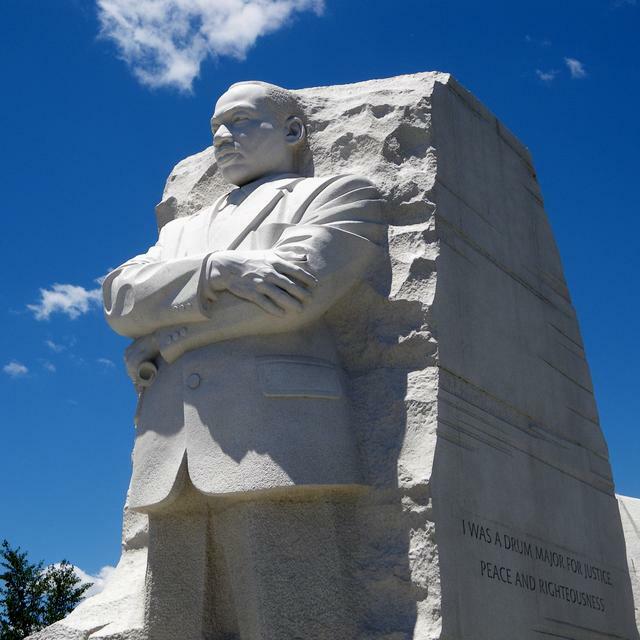 Statues/sculptures are not erected to record history. 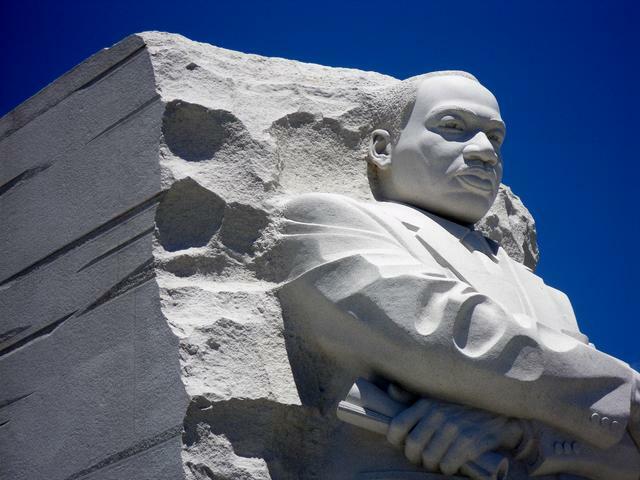 They are erected to celebrate people. We should not be celebrating people who were willing to fight and die to preserve the morally repugnant institution of slavery. Fun fact. 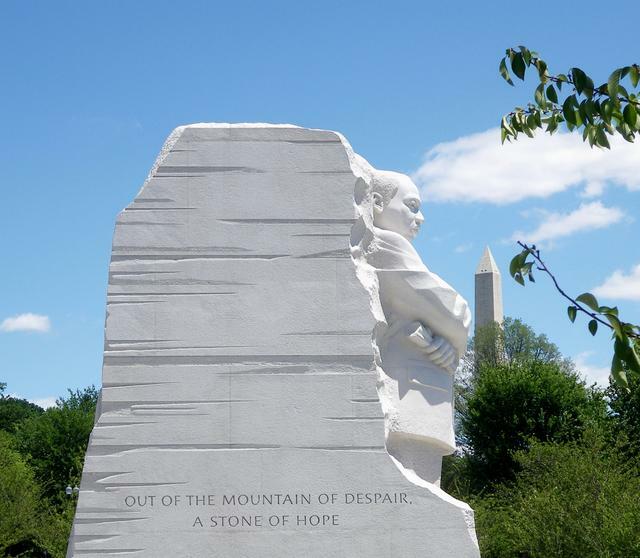 I spent two days in DC a couple of years ago and it turned out to be on the day of 55th anniversary of the I have a Dream speech. August, 28, 2008. 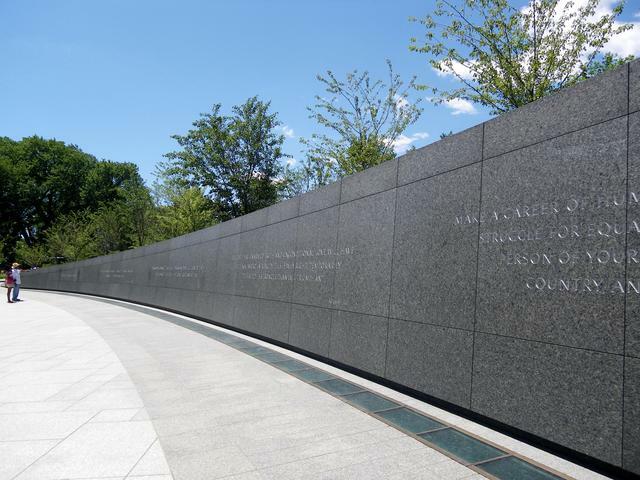 The Vietnam memorial is of great significance because it is based on reflective, inward thought as opposed to reactionary sentiment.